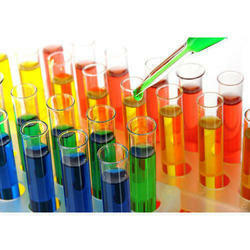 Manufacturer of a wide range of products which include chemical dyes. We are a standout amongst the most noticeable producers and exporters of prevalent quality Physio Chemical Dyes to our customers over the globe. Our thorough scope of these colors is generally utilized as a part of different mechanical applications. These are accessible in different details and can be specially crafted according to the prerequisites of the customers. These are gotten to by our customers at aggressive costs in the business sector. Looking for Physio Chemical Dyes ?